A hilariously twisted black comedy you won't soon forget: This devilishly funny tale centers around the young students of a Texas Christian Puppet Ministry. Taught to obey the Bible and evade Satan's hand, things take a darkly comic turn when one devout young man's puppet takes on a truly shocking personality that no one could have expected. 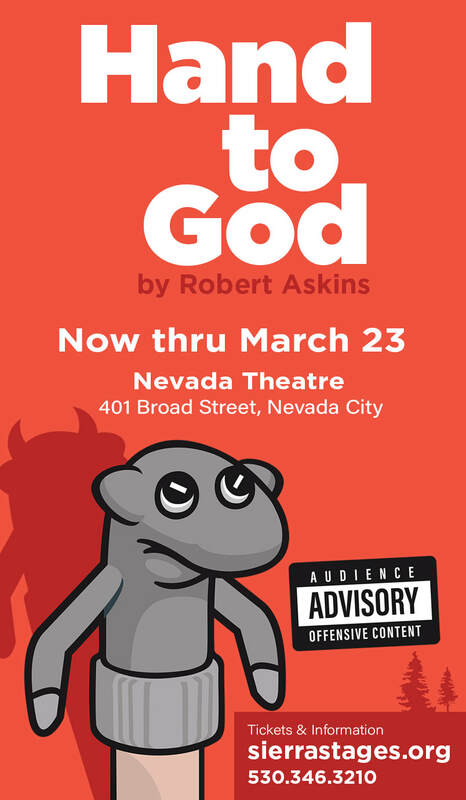 Hand to God is not for those who are easily offended by raw language, adult and sexual situations, unconventional religious themes, and violence. (Please Note: The cross-aisle runs in front of Row G and GL. Purchase at the Box Office beginning 1 hour before the show. ​No refunds. No exchanges (except for FLEX PASS Holders). Seating Chart does not depict actual seat placement in relationship to other seats. Note: The cross-aisle runs in front of Row G and GL: Seats in Row G & GL are in the Front of Theatre ticket section.